What are you eating after a workout? 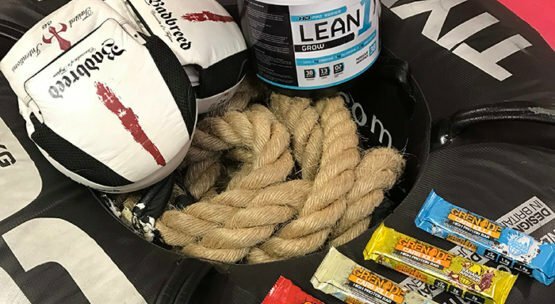 If you find you're just snacking on anything you can get your hands on why not try our grenade bars which begin the recovery process after pushing your body to the limit  . The Perfect snack. Even better is our Lean Grow protein shakes with much more protein and calories to replenish them muscles that have been worked hard. We all know when we get home after a workout all we want to do is eat! But how often do we think about the benefits of certain foods which will help our body recover? It's common food preparation is a struggle at the best of times. The Lean Grow Protein shake contains a massive 38g of protein, with protein been the key ingredient for muscle recovery and growth this shake will help dramatically. On consumption, you also receive some creatine which has been proven to help with your physical performance in short-term bursts as well as high-intensity exercise. Alongside its nutritional benefits the liquid form it is consumed as will allow the protein to enter your system quicker aiding recovery of your muscles as opposed to digesting a solid. A very easy way get the nutrients you need post exercise with minimal preparation. If you’re wanting something more filling perhaps try the grenade bars. These are an ideal snack throughout the day and perfect post work out snack especially if you work out on a morning and breakfast is an effort at the best of time – packed with 22g of protein, 2g of sugar and a great taste this is a healthy alternative to your favorite chocolate bar and reducing the risk of snacking on unhealthier snacks!